I find your lack of Star Wars jewelry disturbing. 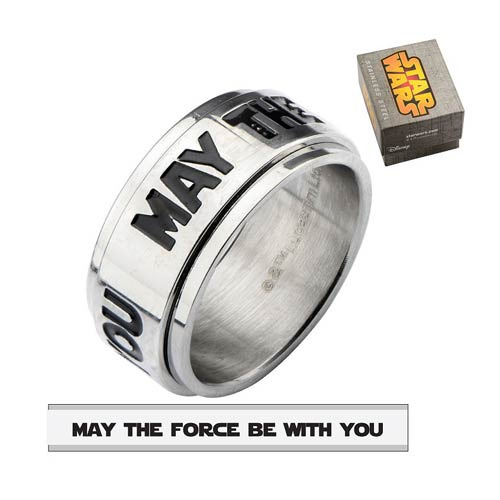 Show off your love of Star Wars with the Star Wars May The Force Spinner Ring. Get yours so the force can be with you... always! For ages 14 years of age and older.